Woods Piano Studio: Lucky Leaf Piano Technique Game & Bonus Freebie! Over the weekend, I created the Lucky Leaf Piano Technique Game to review basic piano technique concepts (sitting position at the piano, proper hand posture, finger numbers, relaxed arm/arm weight, curved fingers, etc) in lessons this week. It is suitable for private lessons and group classes. 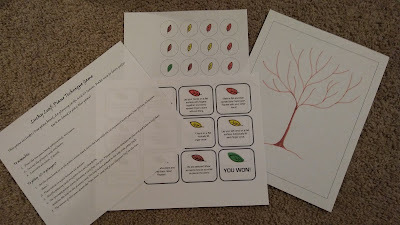 To play, students draw cards and place corresponding leaves on a tree after they complete the direction on the card. The winner draws the card with the "lucky" green leaf on it. This game includes 1 tree game board, 24 playing cards, 12 blank cards to customize as desired, and 24 leaves. I used poster tack to adhere the leaves to the game board (my students LOVE poster tack). 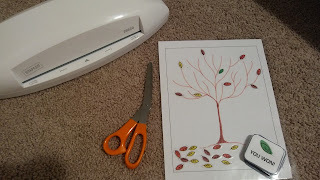 Print the tree game board, playing cards, and leaves onto cardstock. Cut out the playing cards and leaves. I cut the leaves out as closely as possible. They could also be printed on transparent paper. If desired, print blank cards and write your own directions on them! Laminate all pieces to extend game life. Set the game board up on the piano's music stand. Cover the keys with the lid to prevent small pieces from falling in between them. 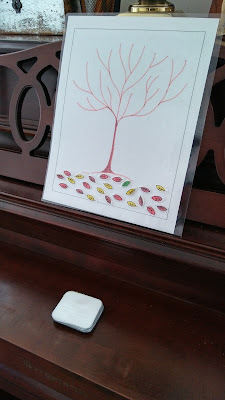 Place leaves in a pile between all players or adhere the leaves with poster tack around the base of the tree prior to the lesson (I chose the latter option). Shuffle the playing cards and place them face down in a pile. The youngest player starts, drawing a card from the pile. Player completes the direction on the card and places a leaf that matches the leaf on their playing card onto the tree. 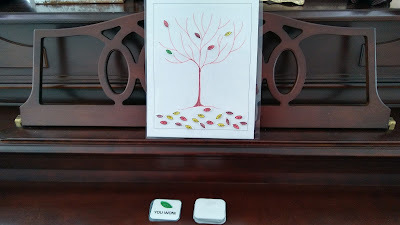 The winner of this game draws the "You Won" card and places the green leaf on the tree. Clap your hands 4 times! Make circles with your fingers! This game is available in my TeachersPayTeachers Store. Let me know what you think! Enjoy! Also, check out my Freebie Cat Themed Ear Training Worksheet, just in time for fall!